Former United Nations secretary general Kofi Annan will receive a state funeral and burial in Ghana on September 13, the Ghanaian president said on Friday, calling it "a major event for our country". The announcement was made by President Nana Akufo-Addo following a meeting with Annan's family in Accra. 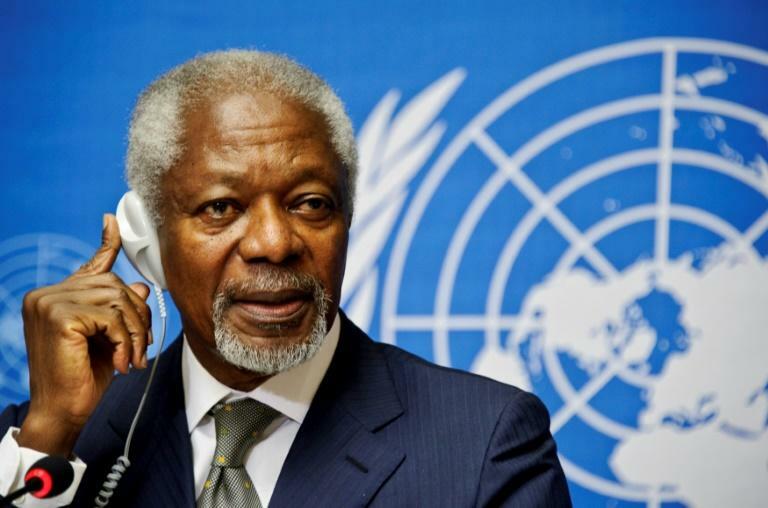 Annan, a Ghanaian national and Nobel peace laureate, died on Saturday at the age of 80 after a short illness. "Kofi Annan was one of the most illustrious people of this generation. He was like an elderly brother," Akufo-Addo said. "It's going to be a major event for our country... I expect many leaders to be present," he said, adding that he would be buried in Accra's new military cemetery. Born in Kumasi, the capital city of Ghana's Ashanti region, Annan devoted four decades of his working life to the UN and was the first chief from sub-Saharan Africa. Following his death in Switzerland, where he lived not far from the UN European headquarters in Geneva, Akufo-Addo announced a week of mourning for "one of our greatest compatriots".